The Village Hotel is a boutique collection of rooms and suites tucked above the brick pavers of shops, eateries and services on Main Street. 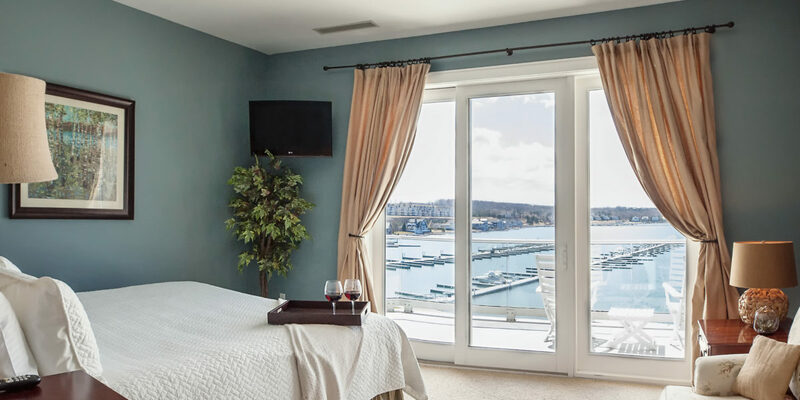 Enjoy Lake Michigan Lodging, as many of our suites offer panoramic waterfront views. 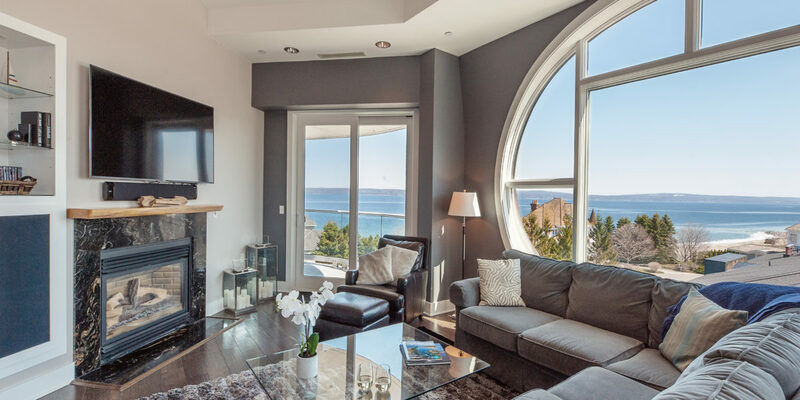 The hotel is located between the charming resort towns of Petoskey and Charlevoix and is in close proximity to golf courses, ski resorts, boating excursions, salon and spa services and just a short drive to several northern Michigan resort communities . Amenities including a Fitness Center and a seasonal Olympic-sized pool and Jacuzzi. We offer standard rooms, studio rooms with Murphy beds and pull out sofas, and one, two and three bedroom suites and penthouses. 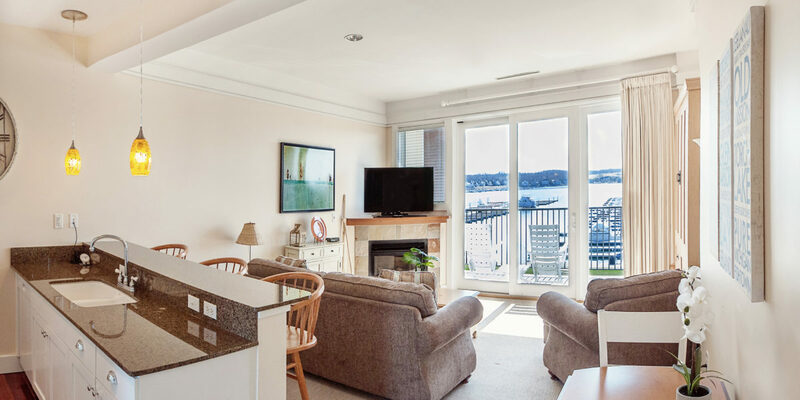 Our well-appointed suites have kitchens, fireplaces and cozy living areas with a walk out deck. What makes Bay Harbor Village Hotel so special? Each of our rooms and suites are unique and special. They are perfect for just one night or for extended stays as they are more like a condo-hotel with spacious areas for relaxing. Enjoy a delicious breakfast at The Original Pancake House that is just steps from your door. KNOT…Just a Bar offers great dining options and an extended beer list. Main Street Market open May thru December offers sandwiches, salads, pizza and other offerings that are more “on-the-go”. Fox & Rose, opening Memorial Weekend is a gourmet restaurant with premier cocktails and a fine dining experience. We hope you will make Bay Harbor Village Hotel your next northern Michigan lodging destination.